Here is yet another Zentangle-inspired tile I made last week. It looks to me like some sort of alien garden! Tile measures 4.5x4.5 inches. Tangles are wartz, pufcookie, freeform tri-roda, splinters. 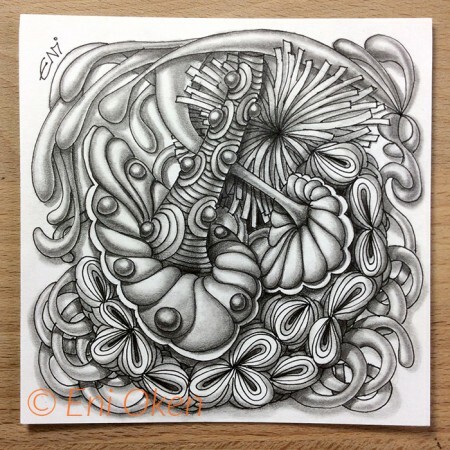 Shading a Zentangle-inspired tile by Eni Oken.